So you are now a streamer junkie (or an aspiring one). How about a little more streamer theory, lore, and wisdom to help you on your quest for the trout king of the river. Scenario: you have been fishing with streamers for a few hours on your local piece of water. A few days prior, the streamer fishing was awesome. The water was clear and the big fish were chasing and eating your favorite baitfish streamer with severe aggression. Today it’s overcast. The water is off color and that same fly you were using a few days before is doing nothing for you. You had one follow from a little trout, but he was not too interested and gave up after a few strips. So now what? Switch it up (you probably figured I was going to say this). But switch what up exactly? Well, there are actually a lot of things you can change to have the odds in your favor. Before we get into all the things you can do to make a change, I would highly suggest changing as few things as you can at one time. Now I know that this may be difficult, but for those who are truly committed to the streamer cause, this can become a full on science experiment to figure out the specific combo of factors that works on a specific day. 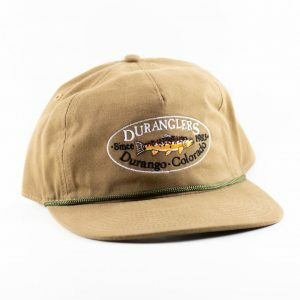 Color – For even the most novice of fly anglers, this is the most common factor to change. Everyone has their favorite colors and even gear guys know the need to change up the color. Hopefully you have heard “fish darker colors on overcast days or in murky water, lighter colors on sunny days or in clear water”. This is a good guideline to start with…but what about when you change the depth of your fly? When one thing gets changed, then another might soon follow. It’s the science of things. I would also suggest you read this nice piece on fly colors, depth of water, and what the fish actually see. Really though, make big changes at first, if you are fishing a dark color; change to a light color, or vice versa. Cut the pie and narrow it down to the right piece. Try different colors until you find the one that causes a response. Size – The size of your fly could be as important (or more at times) than any other factor. If you are getting follows but nothing eating, try tying on a smaller streamer. Sometimes the fish are just too shy to eat that 6 inch articulated monster. Swallow your pride and go smaller. Size does matter. Of course there is the occasion where something bigger pisses them off enough to kill. Flash – This is one of those things people don’t often consider. Sometimes a subtle bug with mute colors and no flash will get those finicky fish to eat. I actually had this situation happen recently where I could not get a pike to eat a fly to save my life. I finally figured out late in the day that everything I was throwing looked like a bedazzled 14 year old girl’s cell phone. I swapped over to a fly with no flash and within the next half hour I put 3 pike on the board. Carry flashy and muted flies with you at all times…or just flashy flies and a pair of scissors to cut off all that Flashabou. 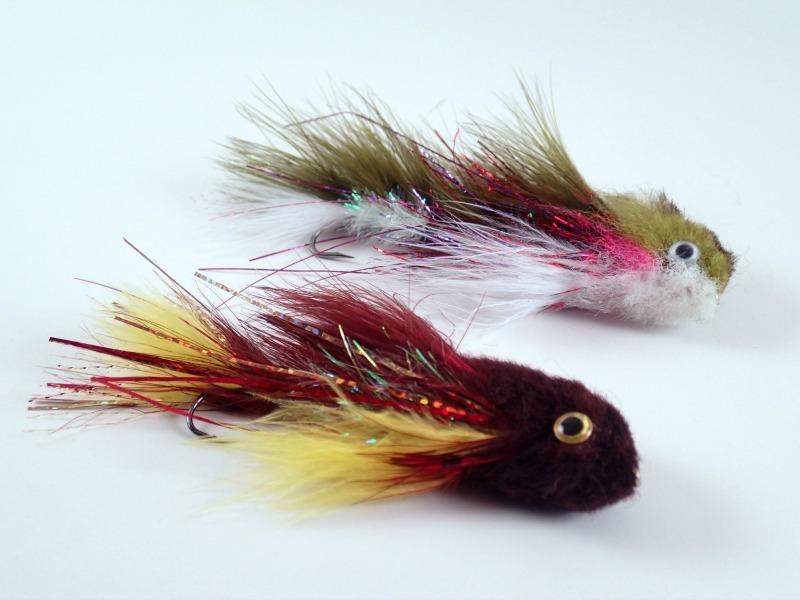 It may not look like it, but these two Woolhead baby trout streamers have a whole heap of flash underneath the marabou. Retrieve – Different types of retrieves were covered in our last installment on streamer fishing. But you should always vary the speed of your retrieve and time between strips until you find the best one. Check out the Jerk Strip from ‘Streamer Fishing for Trophy Trout with Kelly Galloup‘. 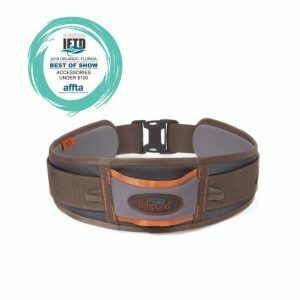 Depth – How deep is your fly? 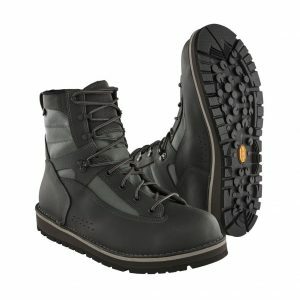 Is it 4 inches below the surface or scraping the bottom of the river? Adjusting the depth of your fly will change how the fish see your fly. This can be achieved by using heavier or lighter flies, sink tips, shortening or lengthening your leader, or adding weight to your leader with a split shot or slip cone weight. Action – Now it seems like we are just splitting hairs…but these things are important to consider if you want to be the best streamer fisherman you know. The action of the fly in the water is imparted whenever that fly is stripped, jerked, jigged, etc. 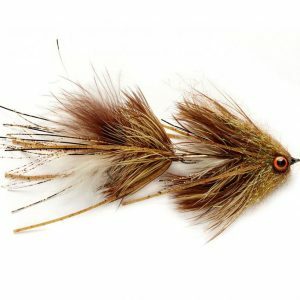 Does your fly have bulky deer hair head that causes it to dive as it is stripped. Do the lead eyes give it a jigging motion. Does the fly drop quickly, slowly, stay suspended in the water column, or float up when there is no tension on the line. Every fly is different, and every action becomes important at one point or another. I have see that many people don’t often consider the drop. The drop is when you fly is sinking due to the absence of tension from your rod (as I stated above). The drop is very important because a large majority of takes are during the drop; when the fly looks injured and helpless. What is your fly doing as it drops, as opposed to when it is stripped? If something big like top fly here is not working, scale it down. The bottom Baitfish Emulator Clouser will have a very different profile. Silhouette/Profile – Now this is a tough one to really get through to yourself because it may take a little imagination (or lots of testing in a water tank). What does your fly actually look like in the water as opposed to on your vise or in your fly box. It might look completely different from what it is supposed to imitate. The profile of the fly might be extremely important to picky fish and should be adjusted accordingly. To do this, use flies with different materials as well as different amounts of materials. 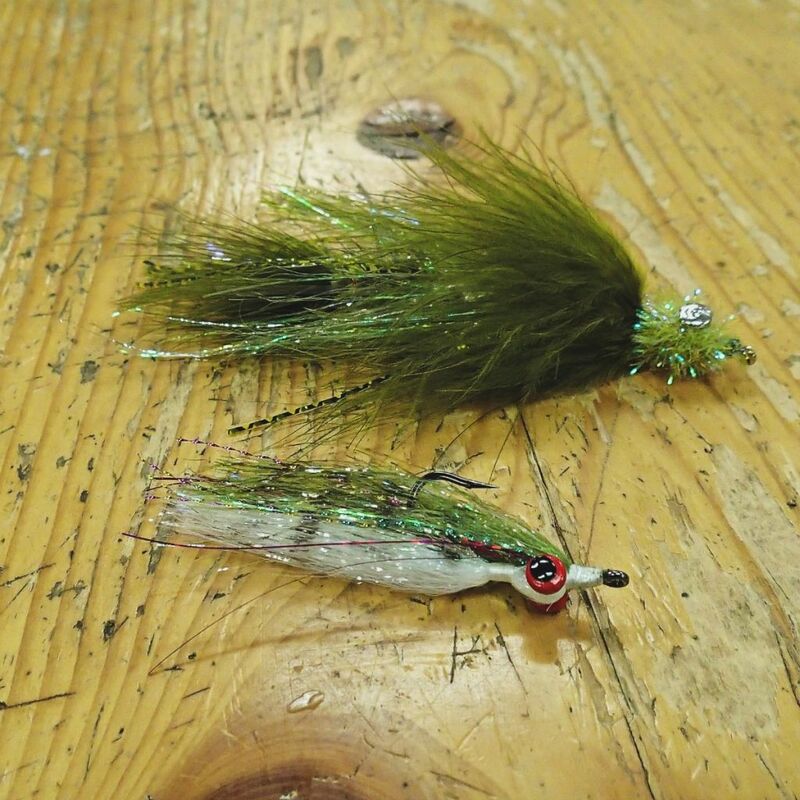 A full bodied marabou T&A Rainbow might terrify a fish while a sparsely tied Mickey Finn will entice the strike. This is a well considered factor among diehard steelhead bums and one that you yourself should think about in all of your fishing. Sometimes giving your fly a little on the water haircut can make the difference. Materials – Now if you don’t tie your own flies, this may not be something you really consider. However, I have had many times where natural materials worked at catching fish over synthetic ones. Different materials do different things in the water and it is always a good idea to have a few flies tied with a few different materials. How important is this factor, I can’t say for certain. But do know that every material act differently in the water and therefore is a different variation to consider every now and then. What if nature switches it up? What if? 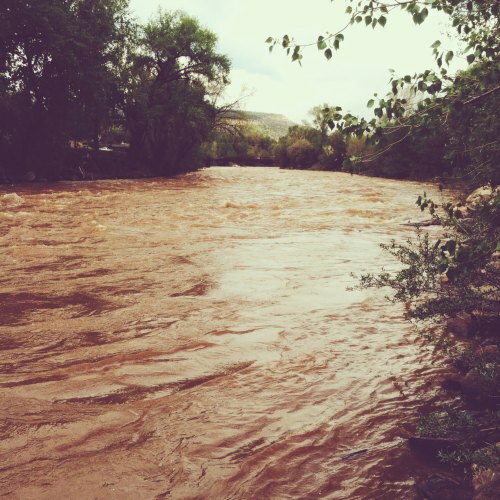 What if you were planning on a bluebird day and all you get is rain and high water? What if the water temps are far lower than you anticipated? What if you expected a calm day and instead get a gale of wind? The only constant is change, expect it and adapt. Change the way you fish by adjusting the factors above. Heck, try something different we have not even mentioned. Always have a plan B when nature throws you a curve ball. Keep in mind that these types of changes can be expanded far past just streamer fishing. Your nymph and dry fly game will be increased if you incorporate this type of scientific method approach to your fly fishing. 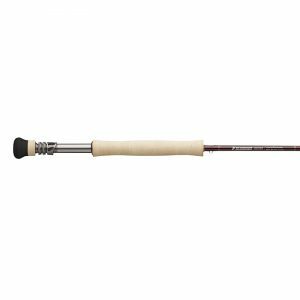 Heck, even your bass, pike, steelhead, bonefish, permit, tarpon, crappie, walleye, roosterfish, dorado, shark, etc. fishing game will benefit from this type of scientific method. Make as few changes at a time as possible to find the right combination of material, size, color, action, etc. Now I know I just spent an entire article on making streamer fishing complicated. Keep in mind these above are things I want you to keep in mind and consider. Don’t let them consume you. They say to adhere to K.I.S.S. : Keep It Simple Stupid. This is true, don’t over complicate things. If you are not catching fish, don’t get frustrated, just go back to the basics and start from there, changing a few things at a time until you find what works. Maybe just stick to the Wooly Bugger if nothing else seems to be working. Fishing a pattern you have confidence in is far better than using something you are unsure of. 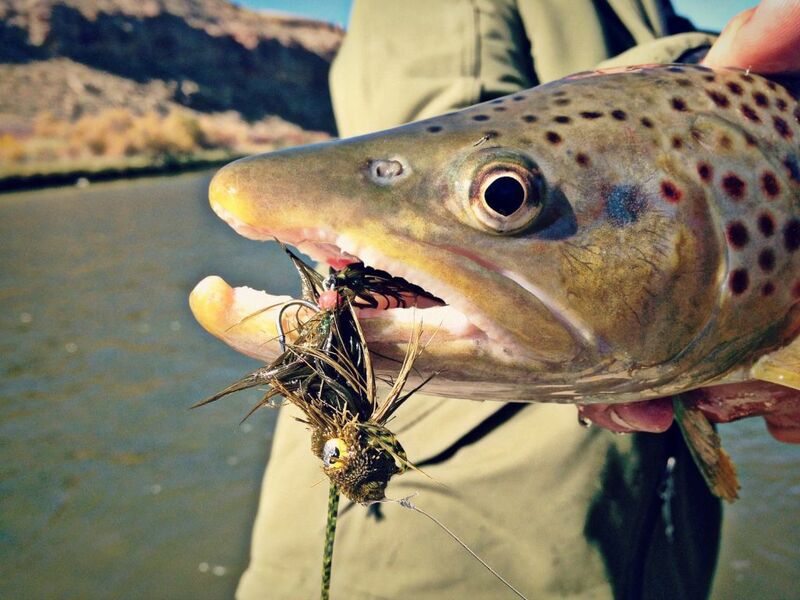 When it comes to fly fishing, confidence trumps a million changes every time. If you have confidence in this scientific method approach, then make changes until you find what is working. 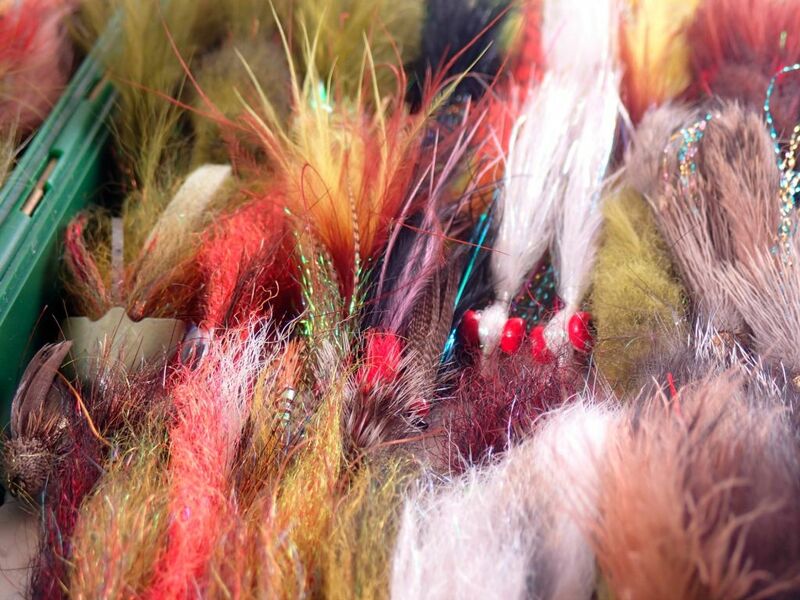 If you don’t, then just carry a few streamer patterns that you trust. You must believe that your fly will produce. Also, don’t be afraid to try weird stuff. Try something off the wall, you never know what will happen. That is the beauty of fly fishing. It’s supposed to be fun! It is really fun when something weird just clicks and happens for you. There are a lot of “rules” with fly fishing; don’t be afraid to break one or all of them (unless you are bait fishing…because that isn’t fly fishing) Keep at it and have fun! And if nothing else, tie on a mouse fly.